The working environment at Wishpond is focused on rapid growth. This allows us to throw marketing tactics against the wall to see what sticks. More often than not, the things we throw end up breaking. But sometimes they stick, and we boost sales by 40% or find a new avenue for growth. This article is a carefully collated list of hacks and marketing tactics which, I hope, you will not have seen before. These are the tactics we've found to be the most reliable for growing a business. Most of the marketing tactics in this article are simple to implement, but some will require a developer or a bit more advanced understanding of digital marketing. If you have any questions, reach out in the comment section and we'd be happy to help! The marketing tactics in this section revolve around getting a business seen and heard. Less-focused on driving sales, here are 11 early-stage marketing tactics which drive brand awareness. There have never been more awesome marketing communities than right now. Check out Facebook and Slack, in particular. These communities don't just offer advice. If approached correctly, they can also share your content and connect you with a network of people excited to increase your brand awareness. Share this marketing tactic with your network! Slofile is a great resource for finding Slack communities relevant to your industry. If you're looking to connect with a larger audience on Instagram, identify micro-influencers (people with 2000-10000 followers) and DM them. Compliment them on their photos and ask for feedback, in return for a discount code. Then, follow up with interested influencers and offer a free product in exchange for a promotional post. Standing out from your competitors may mean choosing a side. A good example of this is Harry's, an ecommerce company selling men's shaving tools. To stand out from their (frankly, numerous) competitors, they built a brand around exploring what it means to be a man. A powerful way to increase the reach of your posts is to create a video - just a minute or two, describing your content or your newest feature. These videos don't need to be incredibly professional. So long as you have good audio and good energy, people will respond positively. To see an example, check out this LinkedIn post and video from Shopify Plus editor Aaron Orendorff. 76% find UGC more trustworthy than branded advertising. 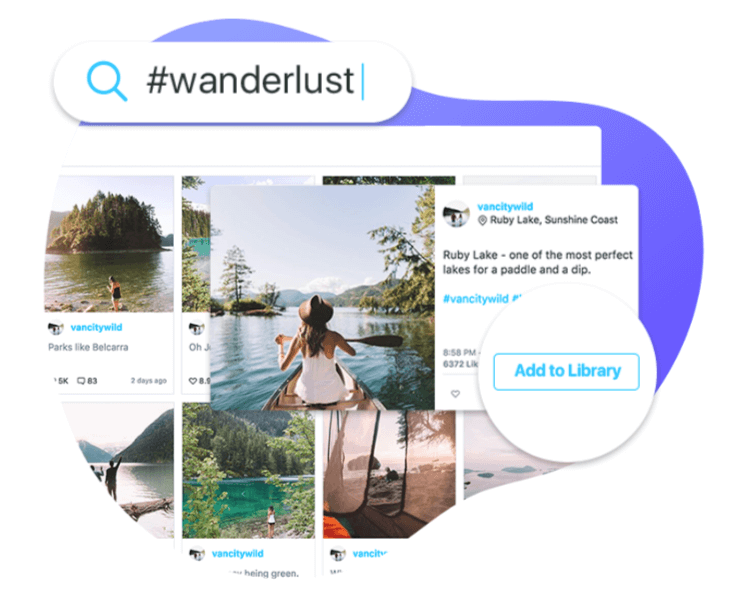 A tool like Later can help you search for user-generated content using hashtags, save it to your library, repost it and credit the people who took the photos. This is an awesome way to reach new audiences on Instagram. Whenever you write an article and share it on social media (especially LinkedIn and Twitter), create a list of thought-leaders within your network who may be interested, then @mention or tag them in your Post. Another cool idea is to mention brands within your content, and let them know when you've done so. Referral or bonus entry contests are the best ways to use your existing contacts to spread awareness about your brand. These contests give people additional chances to win a grand prize if they share your contest with their network. Your existing customers are the most valuable resource you have to increase awareness. They already love you, after all. Check out a tool like Referralcandy, which enables you to reward your customers (in a number of ways) when they share your brand with their network. A tool like Commun.it automatically tracks all your new Fans every day, identifies the most engaged Fans and allows you to reach out to them directly from the app. This is an awesome way to ensure you're engaging with your social media community (and ensure that community is engaged with your brand). Identify business who don't compete with you, but do have a similar target market (and are a similar size). Combine forces to offer an awesome prize package, then promote to your existing lists. You'll double the effectiveness of a normal contest, and drive huge awareness from your target market. For a walkthrough on how we at Wishpond used co-promotions, check out "A Behind-the-Scenes Look at How We Generated 1,263 New Leads (With a Little Help from Our Friends)." 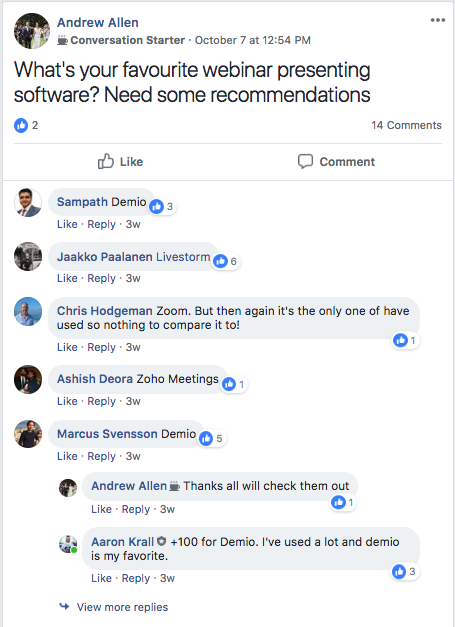 If you have the capability, a great way to increase brand awareness is to offer a heavily-branded free version of your software (or a part of it). 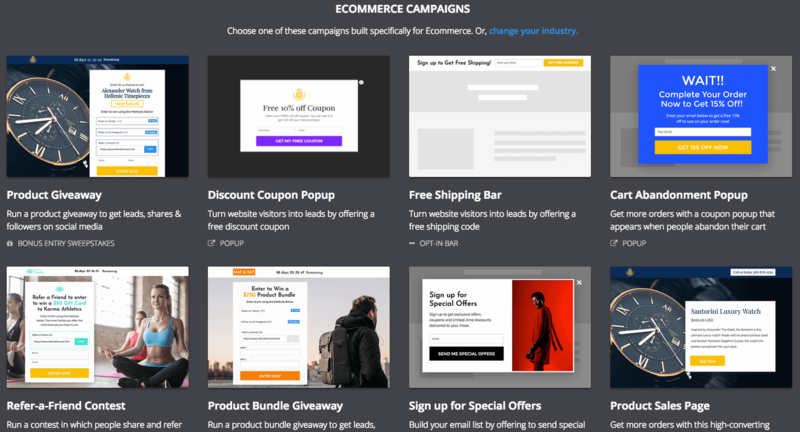 Wishpond uses this marketing tactic ("Powered By" within our free popup tool) to drive over 1,000 website visits every month. Click here to head back up to the Table of Contents. Ultimately, driving sales has got to be the focus point of a marketing team. Website optimization, advertising, and testing are important, but you already know that. This section focuses on giving you marketing tactics to grow your customer base which you may not have necessarily thought of. Rather than spending huge money to retarget/remarket all your website traffic, focus only on those most-interested visitors. Retarget people who viewed your pricing page, but didn't check out. YouTube video ads are particularly effective. Homepages still have a place, of course. You need somewhere for people to go if they just want to learn more about you (though there's an argument to be made that even your "About Us" page should be optimized to drive demos). But if you're running ads, using social media, blogging, or (really) driving people to your website from any traffic source except Google organic search, you should create a page specifically optimized for that traffic source. For more on this marketing tactic, check out my article, "Homepages are Dead: The Rise of the All Landing Page Website." Using marketing automation, you can trigger text messages instead of emails. With a 98% open rate, texts may just be a better way to confirm a demo booking or fight shopping cart abandonment. Changing your 404 page to a lead-gen landing page means you're taking advantage of every page of your website. Consider offering an ebook, demo or email-gated promotion to everyone who accidentally finds your 404s. 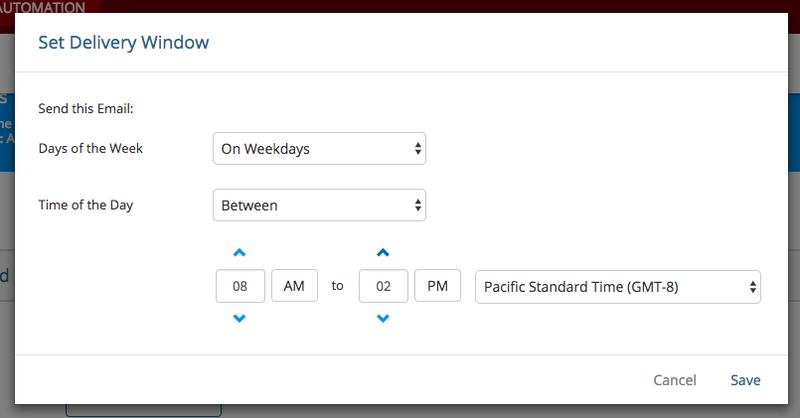 Auto-selecting form fields enables your site visitors to simply start typing rather than having to move their mouse to your form. Never underestimate the importance of usability in your sales funnel. PayPal and Amazon pay options are super easy additions to your ecommerce site, and every time you give people more options, you cut out the excuses to not complete a purchase. ComScore ran a study which reported that ecommerce checkout with PayPal as an option converted 82% higher than checkout processes without PayPal. We get about 40% of our total signups through Facebook and Google logins. Clicking a button is so much easier than entering your email address. 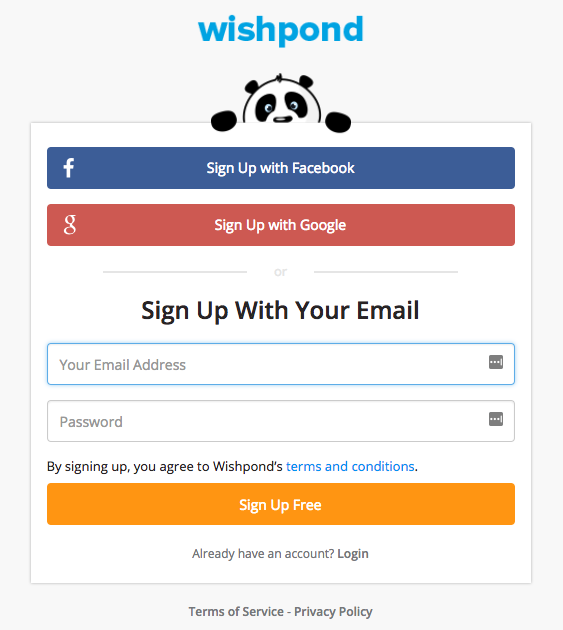 Without social logins, our signup rates would be significantly lower. You'll need a dev for this, but it will pay off almost immediately. Email open and click-through rates are significantly better on Mondays, Tuesdays and Wednesdays than they are on Sunday. And they're significantly better at 8am than they are at 8pm. We saw a 40% increase in conversion rates when we kept blog readers in an article (allowing them to download a guide in a popup) than when we sent them to a different tab to do so. Over the course of the year, the test resulted in thousands more leads than we otherwise would have had. Conditional formatting enables you to include demographic information, product names, even first names within in your landing page, product pages, and popup headlines. This type of personalization drastically increases conversion rate. For instance, let's say you own an ecommerce company. Wouldn't it be awesome if your page headlines changed based on product that the visitor clicked on? For more on conditional formatting check out Shopify's walkthrough for ecommerce companies. Does it feel like you don't have enough hours in the day? Marketing a business online requires coffee, late hours and more creativity than you'd think possible. This section covers marketing tactics and tools which help you become a more efficient marketer - saving you time, energy, and resources. Landing pages: Edit an existing template within your favorite landing page builder with your brand colors, brand font, etc. 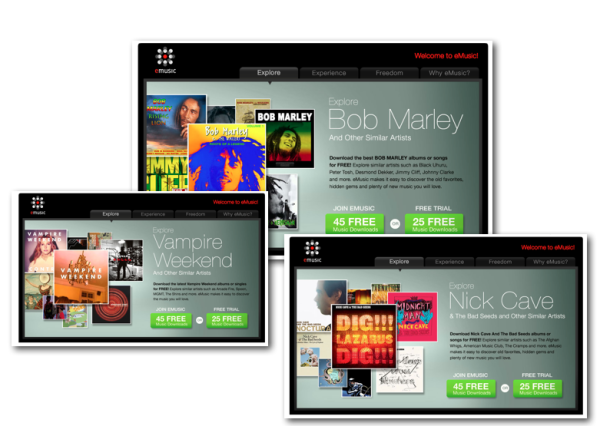 Then duplicate and edit that template for each of your future marketing campaigns. Facebook Ads: Have a designer create three or four Facebook Ad designs, then run campaigns with all of them. Ask them to create an editable template of whichever design performed best and use it as a starting place for your next campaign. The platform makes it super easy to create multiple tests. Let's be honest, Facebook's ad manager doesn't make it easy to create tests, but testing is crucial to getting the most bang for your ad budget. Import a single ad image and write three different headlines, and AdEspresso automatically creates 16 different variations. import 3 images and 3 headlines, and you'll get 45 distinct tests. It's quick, easy, and the time-saving (and conversions) more than pay off the cost of the platform. I say "well" there, because I honestly believe that's what makes this marketing tactic different from the ones you've heard before that recommend project management apps. 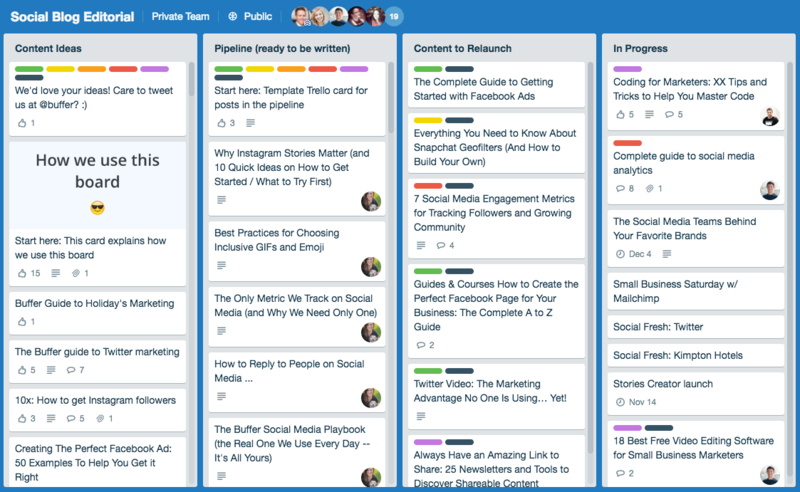 Tools like Trello can be used one of two ways: 1) haphazardly and inconstantly or 2) to save you time, stress, and make your team work 50% more efficiently. Need to send data between two platforms? Use Zapier to connect them. Fighting for a developer's time can be one of the most frustrating and time-consuming parts of a marketer's job. Zapier makes it possible for marketers of all skill-levels to send data from the tools they love to the tools they love. Use marketing automation to send a series of emails to leads (this is the one you've probably heard before). Use marketing automation to send a message to a salesperson (prompting them to get in touch manually) when a lead visits your pricing page twice in two days. Use marketing automation to send an abandoned cart email when someone abandons checkout, prompting them to return. Use marketing automation to move leads to a "hot lead" segment based on pages they've visited, frequency, demographics or any other variable you can think of. Want to learn more about marketing automation? Book a no-obligation, free chat with a Wishpond marketing expert to learn how it can help you grow your business and save you time. Tools like Demio enable you to create a webinar once, then replay it (automatically) forever as if it's live. The technology is a bit cheeky, but you can create a level of urgency you wouldn't otherwise have with on-demand webinars. This increases registration rates. For more on how you can drive sales with webinars, check out my article "How We Made $11,283 with a Single Webinar." This is one of my favorite marketing tactics - the ability to create almost everything that my designers can create with a totally free tool. For more on this marketing tactic, check out my post "How to Create Beautiful Gated Content Without Graphic Design Experience." I first heard about the "Take a pause" method when a friend forwarded me this Forbes article. In it, marketing influencer Bruce Kasanoff recommends that, after you complete a task, just sit there for a couple minutes, resisting your desire to push on to another task immediately. That desire, Bruce says, "[leads] to a long and winding road of inefficiency. You end up being reactive instead of proactive." Instead, sit for a few minutes until your impulse to check your email, check your phone or jump into another task fades. "Just wait, until you calm down. When at last you are content doing nothing, allow yourself to consider your next move. Whatever you do next will be the product of calm and focused thought." This is perhaps the most important marketing tactic I've learned in 6 years at a startup. That's why I've included it twice, kind of. I said above that communities are an amazing way to increase brand awareness, and they are. But they're also incredible resources. That question got replies from 14 marketers, looking to help someone out of nothing more than their own altruism. Growing a business takes a village. Never forget that you're not alone in this. I hope you find a few marketing tactics in this post which you can use to grow your business, as we have. I don't have any real favorites, as I believe every single one of these has serious value at different business stages and for different industries. As I said in the introduction, though, some of these require a bit more thought than others. If you have questions about implementation or any of the tools I've recommended, feel free to reach out in the comment section.